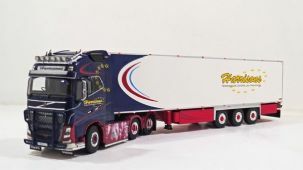 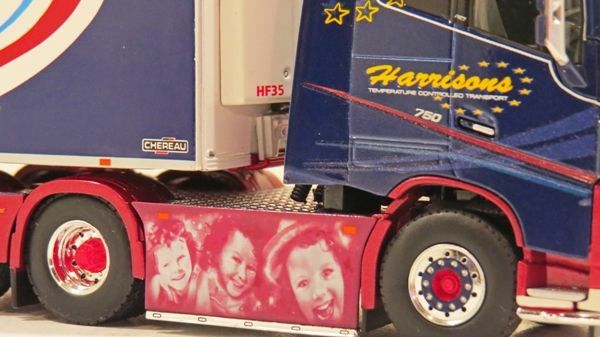 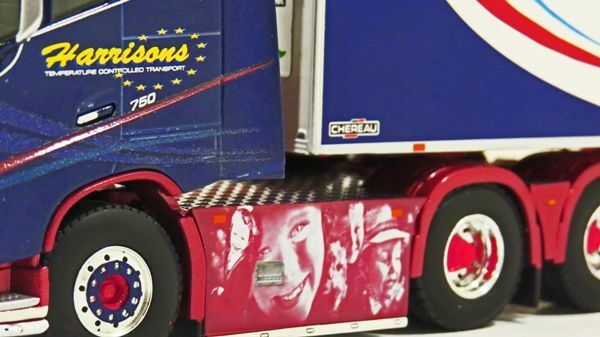 Diecast metal model of a Volvo FH16 750 6 x 2 tractor unit with 3 axle Chereau Fridge in the livery of Harrisons Transport Preston England. 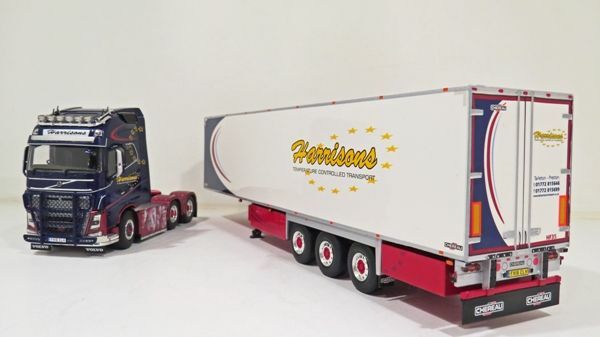 The Impressive FH16 flagship is a touch of class in the spotless Harrison fleet. 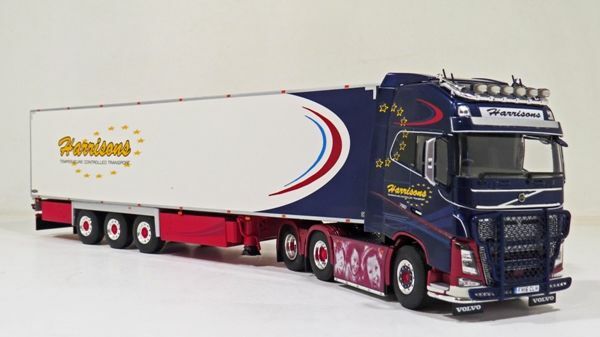 She has some unique airbrushing and some nice finishes which makes her a stunning piece of kit indeed!